We always like to cook different, new and healthy food for our beloved family and friends. Potato is a common food item at my home. In this process here, I describe two easy potato recipes, which are healthy and tasty. The two recipes are “Yogurt potato” and “Devil”. These two recipes are a good choice for any occasion or guest. 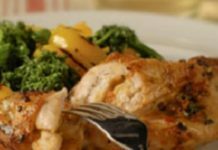 The cooking process and ingredients are simple and easy so anyone can prepare these two recipes at any time. Hope all of my friends will like these two easy potato recipes. Devil is the big balls of mashed potato that contains a full boiled egg inside. The egg is visible when you slice it only. 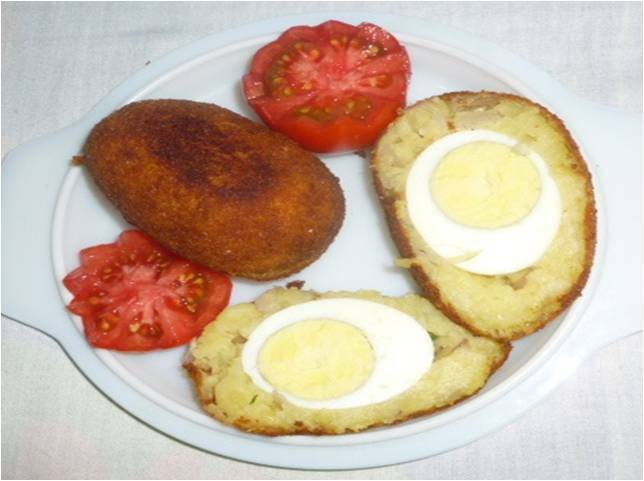 This is yet another potato recipe, but here boiled egg dominate over the potato. Whatsoever the name is you can enjoy the taste of egg and potato fried on oil after mixing with other ingredients. With egg and potato, it becomes another healthy food recipe. You can also apply the technique of feeding one egg to your child, who is other less interested in eating a boiled egg. As a matter of fact, today nutritionists suggest taking eat 1-3 eggs daily as direct protein for your physical need. Earlier though some people said that egg increases cholesterol level, but nowadays it is found that the egg generates good cholesterol, which does not harm to your body. Today, while the item is cooked going beyond the conventional process of cooking an egg. It becomes very attractive as you serve as a snack with the afternoon tea. It can also be a side dish with rice or pulao. Preparation and cooking of devil are very easy and simple. Both egg and potato are boiled to prepare the devil. The only potato is mashed, which is then used to make thick layer all around the boiled egg. After cooling down remove the skin of eggs as well as potatoes. Then mash potatoes. Fry onion until the color is brown. Add onion, chili slices and salt with potato. 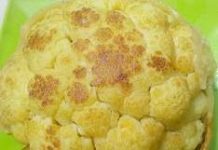 Make two balls from the potato’s dough. Put one egg each ball in the center of the potato’s ball. Now cover it with mashed potato. It would look like the shape of a big egg, which is called the devil. Beat rest of egg and put the devil into the beaten egg. Apply breadcrumb over the outer layer of the devil. Fry all devils until the color is golden brown. If you have an induction cooktop use this for better result. The induction cooktop is very safe for cooking. Serve it as a snack or side dish with rice or pulao. Potato is a very commonly available of vegetable almost in everywhere. In Bangladesh and India during the season, it’s price becomes so low that people arrange a show off how many different types recipes can be made by potato. Sometimes, it seems endless as people create can numerous recipes by potato. Here in this recipe potato makes the tasty curry with yogurt and coconut milk and tasty spices. Yogurt potato goes very well with rice, pulao, paratha and chotpoti. Cooking of the yogurt potato is very easy. You need to boil a potato, before putting into the mix of spices and other ingredients. If you want a different taste of a potato items just take the recipe and try it. Boil potatoes for 20 minutes. Remove skin and cut into cubic shaped pieces. Heat oil in a cooking pan on the burner. Add cumin powder, turmeric powder, chili powder, ginger paste and salt to the oil. the spices in the pan. After blooming the mixture, add potato pieces and cover with a lid. Cook for about 10 minutes over medium heat. Add sugar 2 minutes before taking out of the burner. When the gravy is thick and attaches over potato pieces, take out of the pan. Take the yogurt potato in a serving dish. Here is your tasty yogurt potato recipe. Serve this recipe with pulao or rice or tortilla or paratha. If you like my easy potato recipes please share this recipe with your family and friends.